Tax Collector Leola Matthews sends Martha Berry a letter containing the amount she owes in state and county taxes for 1929 on land purchased from M.H. Ladd. 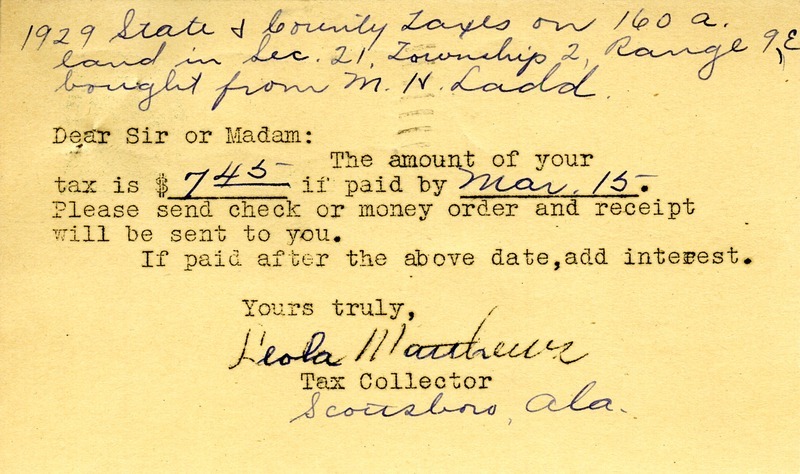 Leola Matthews, “Tax Notice from Leola Matthews to Martha Berry.” Martha Berry Digital Archive. Eds. Schlitz, Stephanie A., Sherre Harrington, Christy Snider, Angela McCavera, Meg Ratliff, et al. 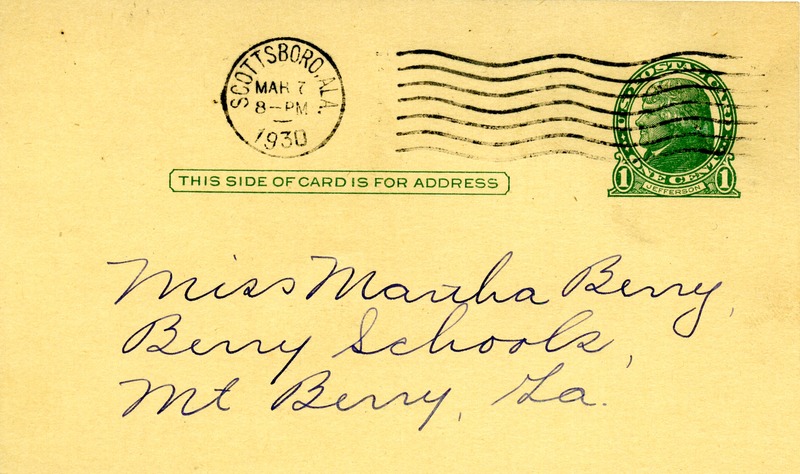 Mount Berry: Berry College, 2013. accessed April 19, 2019, https://mbda.berry.edu/items/show/13373.